There is a concern about Wellbutrin breastfeeding safety. 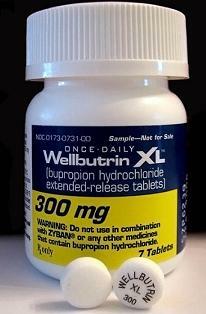 Wellbutrin (Bupropion) is sold under different brand names for different uses. The most common uses are for mental depression or to help you stop smoking. However, it is currently not recommended for breastfeeding mothers because further study is needed to fully determine the effects of Wellbutrin in nursing children. Many doctors caution that there may me adverse side effects for some babies. Discuss with your doctor to see if there is an alternative choice that would be safer for you. In general, one should try to choose an antidepressant or smoking cessation agent for which there is enough research to support its safety during breastfeeding. That way you can take care of your health and have comfort that your sweet baby is safe as well. Want to read other moms’ Breastfeeding Storiesor Submit Your Own Breastfeeding Story?